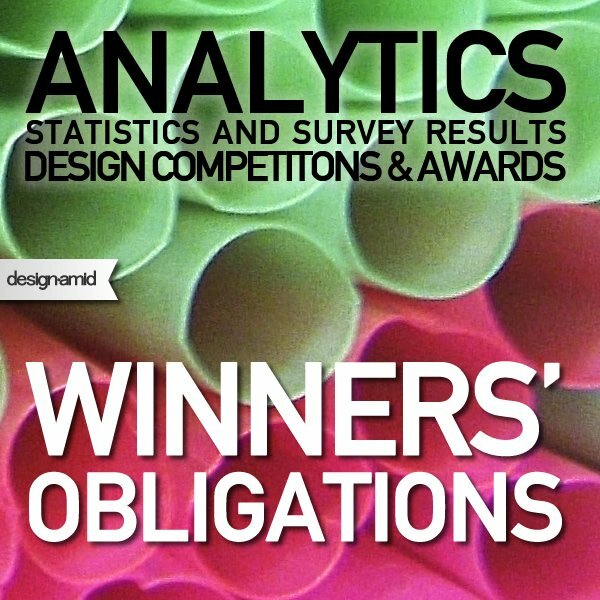 The data on winners obligations is the most crucial part of the statistics provided by designcompetition.com database, this data is relevant because many design competition participants admit as seen in the survey that they do actually not read the competition terms and agreements, or just skim them. Thus winners obligations as written in the competition terms propose some serious dangers for unaware participants. One of the most important element is the sales or transfer of designs to the organizers. 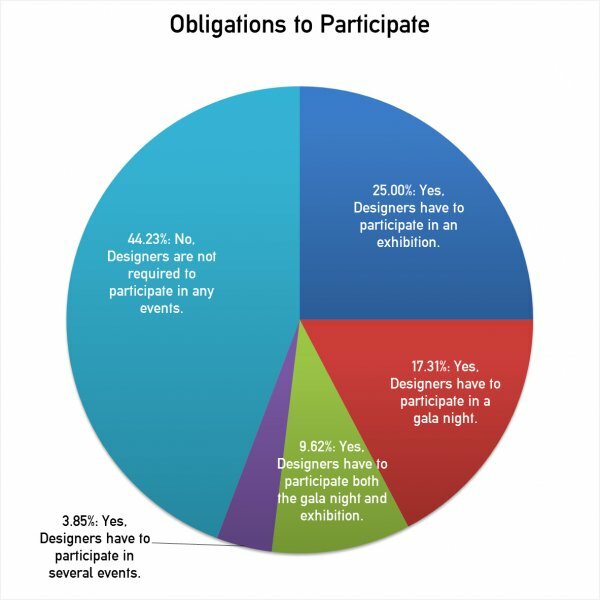 The most alerting fact that 5.71 percent of design competitions require legally, as stated in the terms and agreements that winners transfer their designs to the organizers for free. 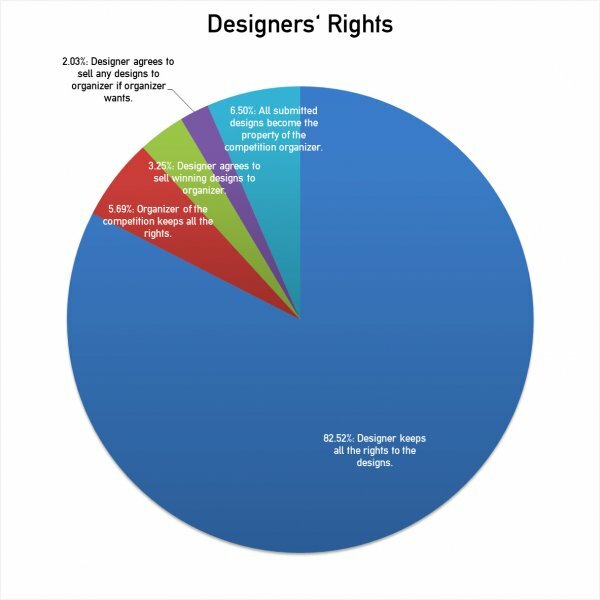 While another significant 10.71 percent of design competitions require designers to transfer design rights for the award sum. 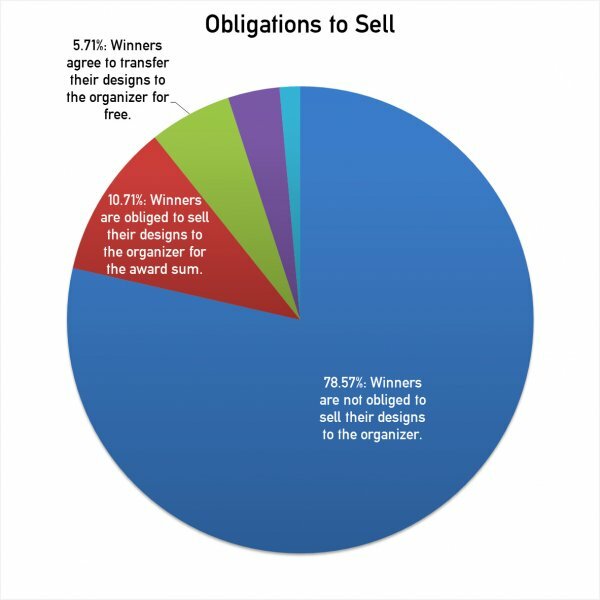 When combined, it indicates that in 15 percent of design competitions, winners will lose the rights of their designs to the organizers paid or not. In addition some organizers require the designs to be sold during events. Obligations to participate? 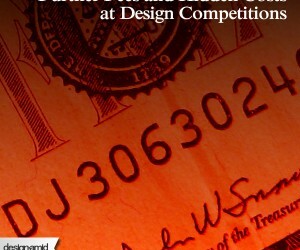 Some design competition organizers require that winners are required, legally, to participate in some events. In most cases, designers are required to participate the exhibition and gala-night, and some others require even more. All designers must be alerted, and read the terms and conditions carefully before joining such competitions. 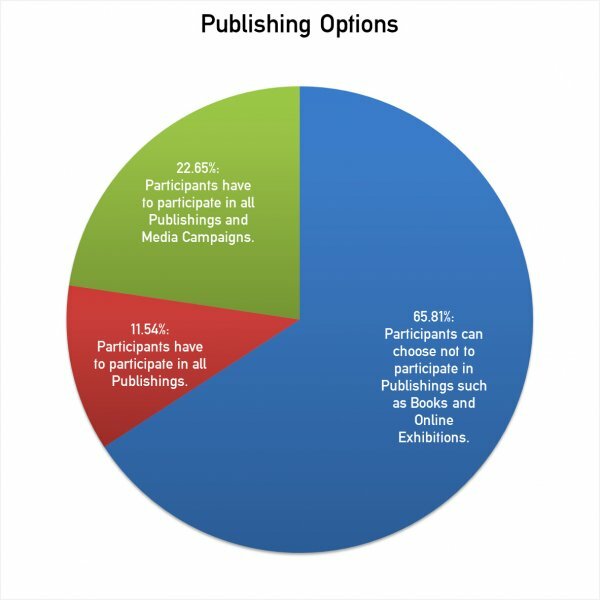 Publishing Options information discloses whether design competition participants have to participate in publications or not. Here, 11.54 percent of competitions do not require entrants to participate at media publications, however, all design competitions should be requiring entrants to participate in publications, because one of the major benefits of design competitions for participants is to provide publicity. 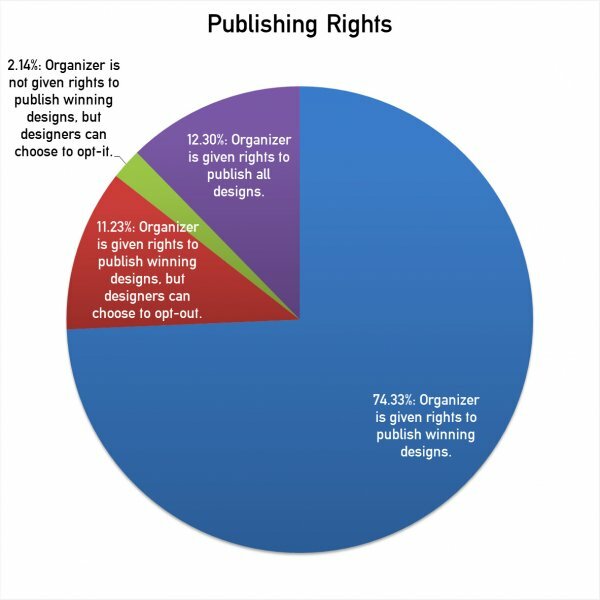 Publishing rights is one of the most debated items and it would be expected that all design competitions to require participants to provide them publishing rights since, one of the major aims of winning a competition is to get publicity, yet still a percentage of competitions offer designers to opt-in or opt-out from the publication process. 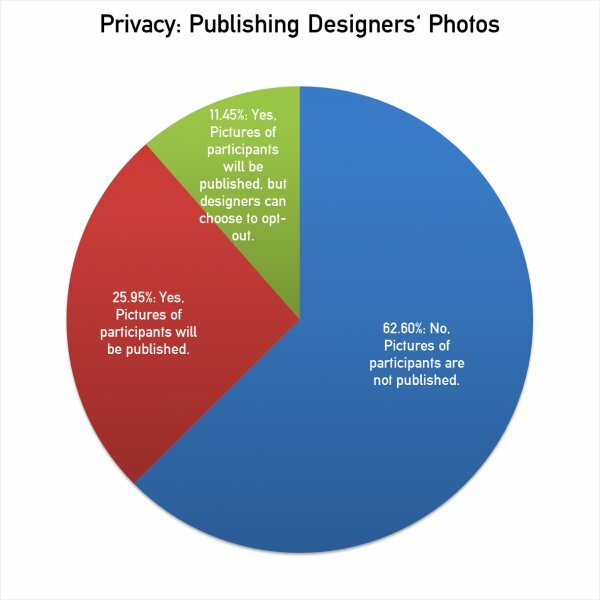 62.60 percent of competitions will not publish designers photos, however to run a good pr and publicity campaign, and to create or reinforce the brand identity of designers, publishing photos or pictures of the participants is required. Meanwhile 11.45 percent of the competitions allows participants to opt-out from the picture publication. 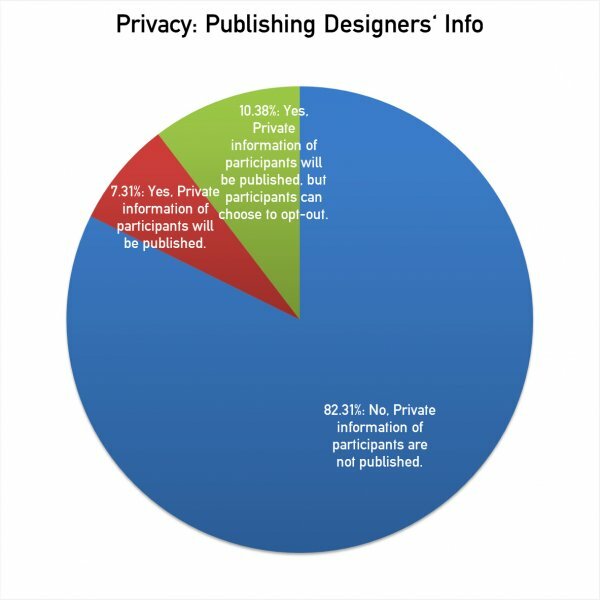 Publishing Designers private information is also required for running a pr campaign, especially name, surname and contact information should be shared with press members. Letting participants opt-out could potentially be a bad strategy for organizers since it decreases the chances of participants to get more visibility. This article was added on Monday, 27th of January, 2014 at 05.44 am by author Onur Cobanli Tags: winners obligations, winner requirements, further fees. Read our copyright policy here.